Directly adjacent to One Mission Bay lies a quaint soccer park aiming to make social waves in the neighborhood. Street Soccer USA (SSUSA) opened its two-mini-soccer-field park just last year, replete with electronic score boards, stadium lights and locker room, as well as vendors from local food and drink partnerships. 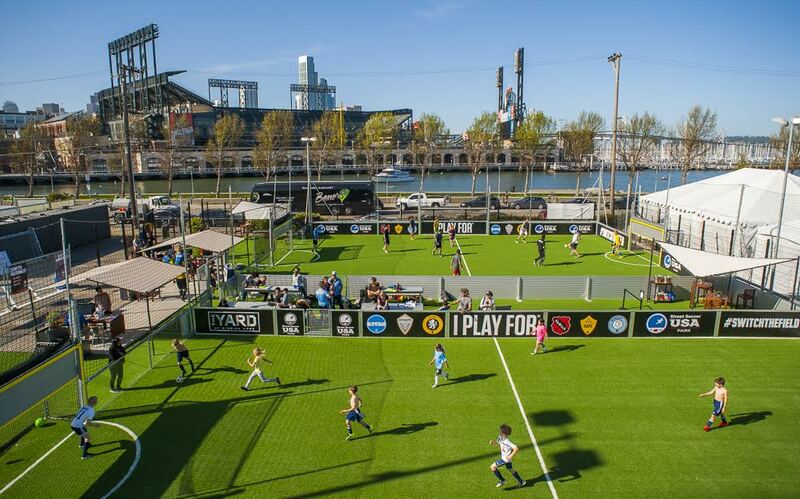 As the second NorCal installment by SSUSA, the Mission Bay soccer park help brings life to the burgeoning neighborhood, while impacting it in a special way. The SSUA develops urban mini soccer pitches with the goal to impart at-risk youth, homeless and special needs populations with invaluable life skills through team work on the soccer field, ultimately fostering lasting social change within the community. The popularity of the SSUSA park has only increased since opening last year, scheduling events every day of the week. To start playing, feel free to check out the adult leagues and drop-in tournament schedule.